Many business owners build corporate credit through net 30 accounts that report to Dun and Bradstreet (DNB). These trade lines help establish responsible payment history and contribute toward a stronger credit score. Net 30 accounts that report to DNB help increase a business’s Paydex score. A greater score translates to a better chance of approval for business loans and credit cards, without any personal guarantee requirement. As such, every business owner should set up net 30 accounts right away so they can start generating payment history on their DNB file. What is a Net 30 Account? A net 30 account is actually real simple. It’s any account where the invoice must be paid within 30 days of receipt. In some cases, the terms state that a check must be mailed within the last week leading up to the 30th day. Many vendors are willing to set up this kind of account. Some do not state that their vendor accounts include these payment terms. In those cases, it’s possible the supplier will agree to those terms – but some require an earlier payment. 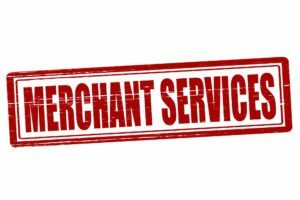 The biggest argument you can make for a net 30 account is the fact that the vendor will avoid credit card fees as payments are by check. The savings from this are roughly 2-3% on every purchase, and for some businesses that is more valuable than a faster payment. It’s not just suppliers and vendors that offer net 30 accounts that report to DNB. For example, many service companies also allow their clients to pay under these terms. 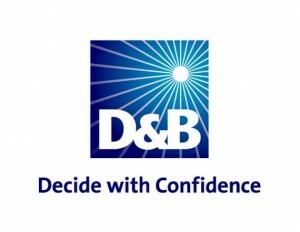 Your long-term business arrangements will impact your business’s DNB report more. However, it’s advisable to look for any opportunity to have any net-day payments reported. We’re going to save you tons of time. The list below took ages to compile, but it’s worth it because now you know where you can get net 30 accounts. Keep in mind that qualification requirements will vary by vendor. Most on the list below have simpler criteria. The more well-known names that offer commercial accounts with net 30 terms will generally require your business to have at least a 65-75 Paydex score. Quill, a paper and office supply e-retailer, is a very popular choice for small businesses looking to build credit. They accept practically every business that applies for a vendor account. These accounts are billed under net 30 payment terms. When making a purchase, simply select the option to “Invoice My Account,” instead of paying by credit card. Your order will arrive before your payment makes it to them and you’ll receive a bill in the mail as well. Every time you make a payment, Quill will notify DNB and each payment will help build your business’s creditworthiness. Uline, a packaging and shipping company, provides up to $1,000 in instant credits to its new business customers. Once you become a customer, you can also select their net 30 billing option. This business is one of few that will accept any applicant, so it’s a perfect way for any small business to put new trade lines on their DNB file. HD Supply, a construction and industrial equipment supplier, offers net 30 billing terms with their vendor accounts. Go under My Account and select Apply for Credit to submit your application. From there, email it to fmaccountservices@hdsupply.com or fax it to 1-800-283-8883 to submit your application. Gemplers, an agriculture and horticulture supply e-retailer, offers net 30 accounts to their customers. This company sometimes requests a prepayment for the initial order. After that, your future purchases will be set up with 30 day payment terms. Grainger, an industrial supplies retailer, offers open account billing to its business customers but it’s on credit approval. Many new businesses have had no problem getting a net 30 account set up with them. To make a request, call 1-800-472-4643 and apply for a vendor account. ePromos, a promotional products supplier, provides net 30 billing terms. If you can locate a better deal within 30 days of your order date, they will give you the difference back and 10% off your next order. This offer means ePromos is your cheapest option for promotional products, so setting up a vendor account here is a no-brainer. Print Country, a printer supplies shop, provides net 30 terms to their business customers. Your orders must be at least $200 to get reported to DNB. Anything less than this amount is to be paid by credit card or money order. Staples, an office supply retailer, provides commercial accounts with 30 day payment terms. The problem here is that a personal guarantee is required for any startup business. To avoid this criteria, your company must not be less than three years old, have less than 10 employees and bring in less than $2 million in annual revenue. Net 30 accounts are not the only option. You can build business credit with shorter payment terms as well. For many businesses, the sweet spot is a net 15 payment term as they can smoothly run their monthly budget. Below is a list of some vendors that report to DNB, but their billing terms require a payment in less than 30 days. BP Gas – net 14 accounts, but with random reporting times. Seton – net 10 accounts, only reports on purchases of $250 or more. Valero Gas – net 25 accounts, with reporting once a month. Will Net 30 Accounts Improve Paydex Score? Always treat these vendor accounts as stepping stones. You shouldn’t simply open them to get a better score. However, your company can definitely benefit from running expenses through these shop in the early stages. As you gain access to business credit cards, your spending can transition toward suppliers with better pricing and wider inventory. Remember, you do not need to take on $50,000 in monthly purchases for these vendor accounts to hold value. The key is to use them just as that “stepping stone,” which means they help you qualify for other business financing. Once your vendor trade lines influence your DNB credit scores for the better, start pursuing other opportunities. Your business credit cards – especially without personal guarantees – will dramatically help build your Paydex score. From there, unsecured business loans and better commercial accounts and corporate credit cards will be within reach. Furthermore, do not force small orders in hopes it will help your credit report. In the business credit building world, most recommend at least $50 per purchase to get reported. The actual amount will vary depending on the company. As an example, Seton requires at least an order of $250 for them to report to DNB. The $250 minimum should ensure any business with net 30 accounts that report to DNB will actually report your payment. Net 30 accounts give you 30 days to make your payment. When it comes to DNB credit scores, prompt payments can improve your business’s credit rating. You should try to pay off your net 30 bills as fast as possible. Even though you have 30 days to pay it off, you should aim to cover the bill in an average of 15-20 days instead. DNB rewards businesses that pay their bills early. This behavior is seen as a major positive because it means your company’s cash flow is solid. Your business should have the proper accounting to cover a purchase right away. Plan a month in advance for all your orders and paying ahead of time shouldn’t be a problem. For reference, a Paydex score of 100 implies that payments are made 30 days in advance, 90 means 20 days in advance and 80 implies they were paid on time. Other factors can influence your business’s Paydex score, but for a clean DNB file these numbers provide some perspective. Do Net 30 Accounts Require Personal Guarantees? Net 30 accounts that report to DNB will have varying requirements. For some vendors, one of those requirements is the business putting up a personal guarantee. This criteria might get removed if your company is large enough, holds sizable assets or has many years of payment history. Of course, with an existing high Paydex score it’s not as difficult to set up a vendor account without a personal guarantee. The list provided earlier in this article features many retailers and suppliers that have lenient criteria. 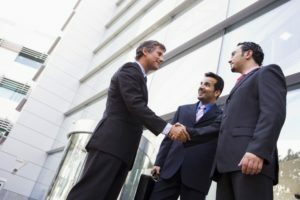 These vendor trade lines will grow your business credit file with DNB and make it less difficult to get more attractive suppliers to accept you on net 30 billing terms without a personal guarantee. Regardless, as a startup you might want to consider putting up a personal guarantee. This tactic is not advisable with business credit cards – because it severely hinders your personal credit. With vendor accounts, it’s not such a big deal. You won’t have a revolving credit line that you always owe for, as these accounts are a form of pay-as-you-go credit. The result is less of an influence on your personal credit score – and no real impact in the long run. For the easier to obtain vendor trade lines, what do you need to qualify? In most cases, you won’t need more than a DUNS number and a 411 listing. When requirements are more severe you might need a personal grantor as well. Many businesses will avoid putting up this personal guarantee, because their goal is to build credit solely as a business. How Many Net 30 Accounts is Too Many? Businesses should try to open net 30 accounts as aggressively as possible. The more that are held, the better it looks for your DNB credit report. Most people suggest focusing on setting up at least five vendor accounts at once. With this many trade lines, it won’t take long to see a change in your Paydex score. You can shoot for even more than this number. This isn’t seen as a bad thing, like it is with personal credit. 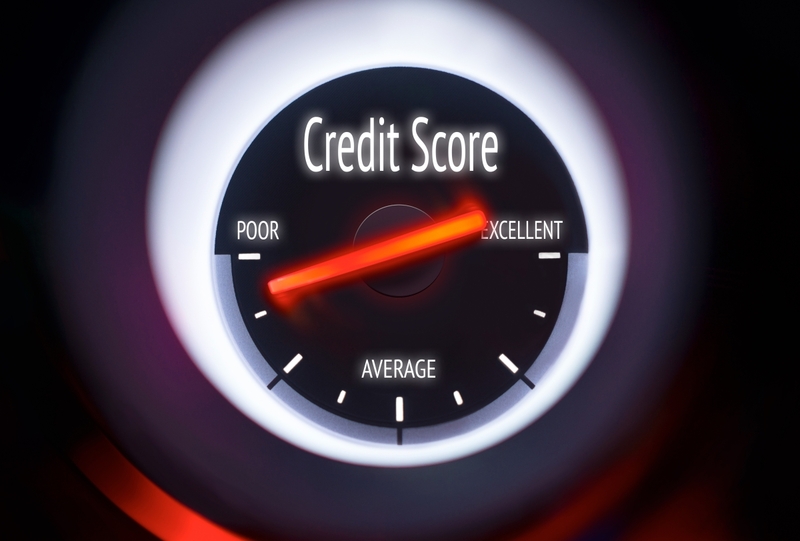 For personal files, FICO looks at the credit utilization rate by account and overall. DNB’s Paydex score looks at the recent high credit, which is the largest balance your business carried in the past 12 months – by lender and overall. You should be opening a bunch of net 30 accounts. What you need to avoid doing is racking up a huge bill with all of them at the same time. Thankfully, this is easy to prevent doing because of the way net 30 accounts work. You are given 30 days to pay the invoice. This time limit means you can only rack up a balance you can afford to cover in one month’s time. Therefore, your total carried balance at any given time should not be high enough to keep you from a strong Paydex score. Note: Keep in mind that you will need to have a handful of trade lines reporting for at least three months before your Paydex score will adjust. Be patient and use these accounts naturally, don’t treat them merely as a way to buy yourself into a good business credit score. Building business credit without vendor accounts can be quite a challenge. Your DNB credit report will have much more payment history if you have some on file. These accounts are easy to set up and many come without any major requirements. Many other companies will provide net 30 accounts, but it’s harder to get approved as a fresh business. As a new business owner looking to build credit for your company, it’s recommended you pick up some net 30 accounts that report to DNB. This tactic is also what many business credit building companies will advise you to do when first establishing creditworthiness for your company. Equifax Business Credit Report – What’s Included How Do Business Credit Reporting Agencies Work?